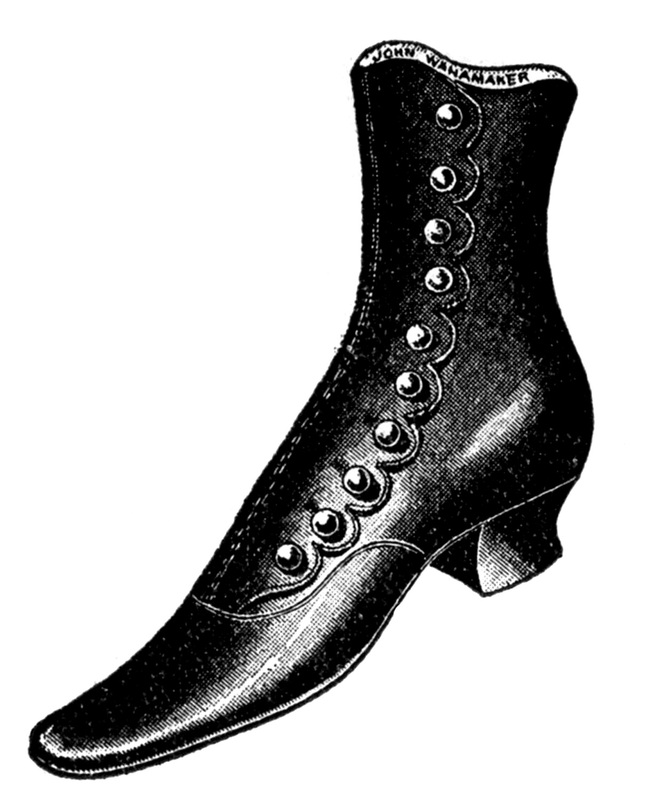 Were you ever in a museum marveling at a pair of ladie's Victorian shoes? By marveling I mean: how ever did they wear such shoes without being in excruciating pain? First of all, the end of the shoe is all pointy so the toes had to have been all scrunched up together. Second, they were incredibly narrow. The pair I recently saw in the Montana Historical Society Museum in Helena were only about two inches across. And to get them on, the poor woman needed a button hook and the flexibility of a gymnast. No big deal if you're sixteen, but what if you're sixty? And lest you think these were just for fashionable adults, the children's shoes weren't much better. Admittedly, the shoes look kind of cool but ouch! ouch! ouch!